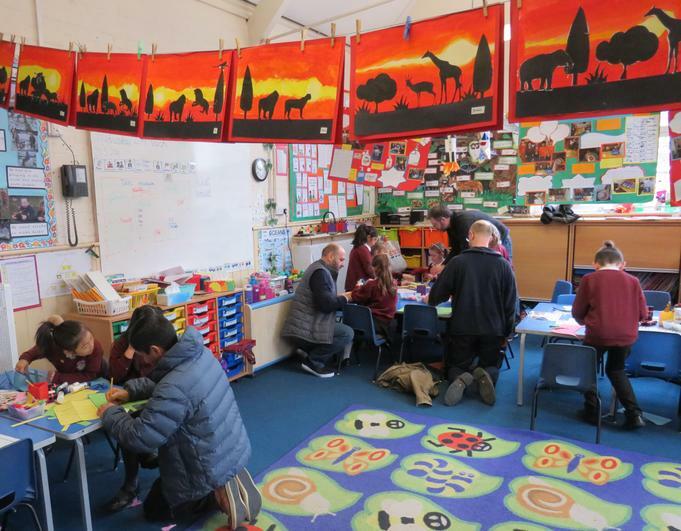 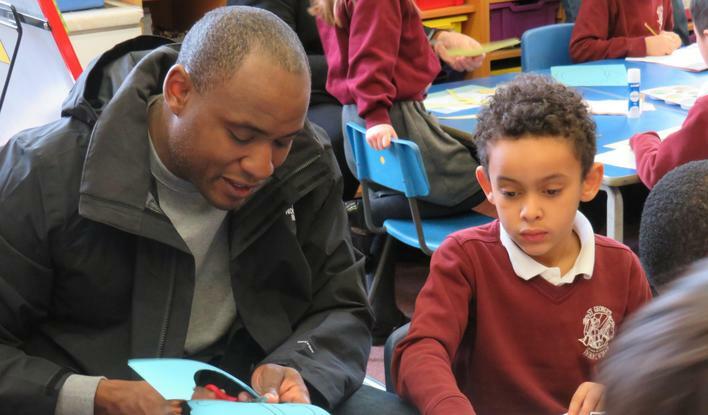 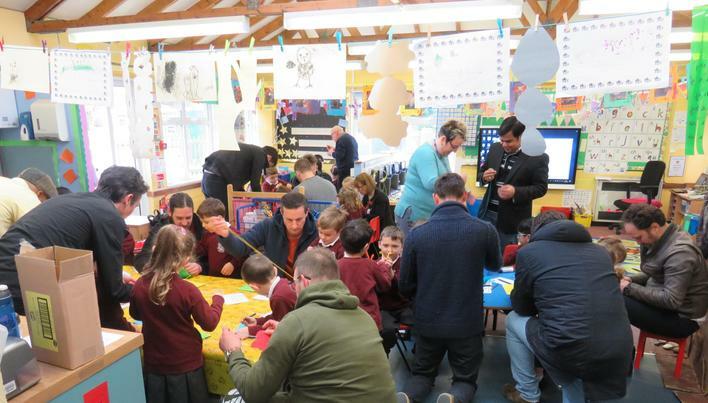 A whole host of the children's male relatives came in to school this morning to for a special Mothering Sunday collective worship. 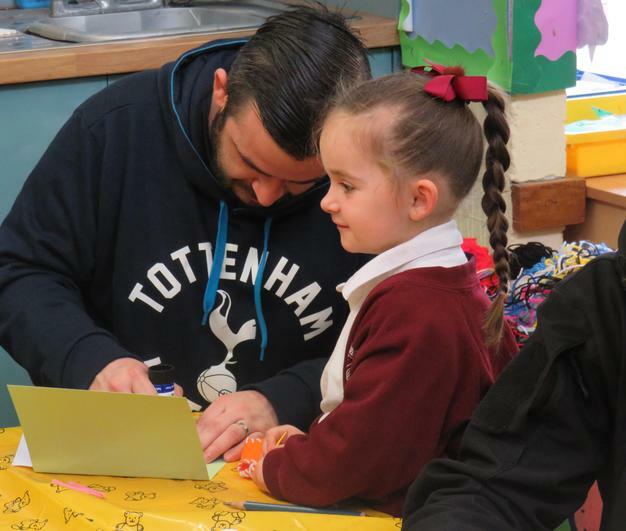 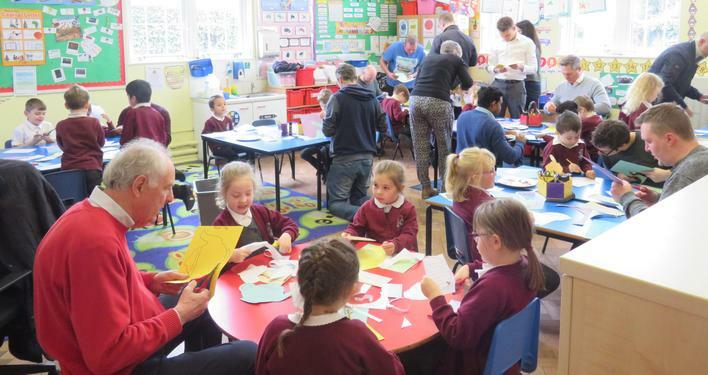 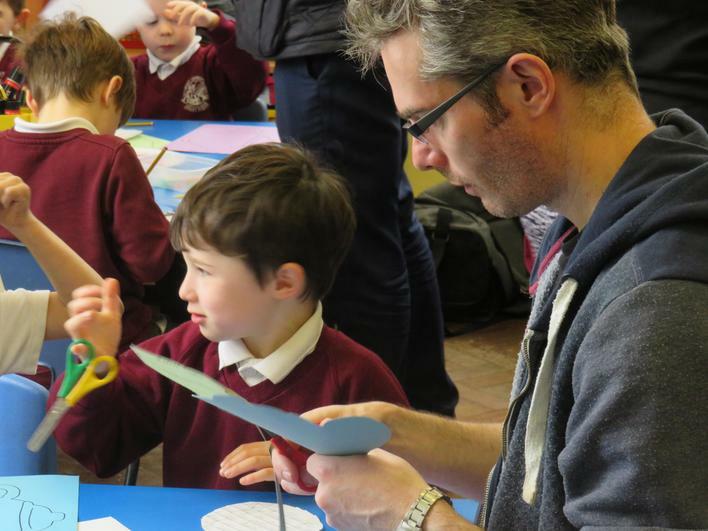 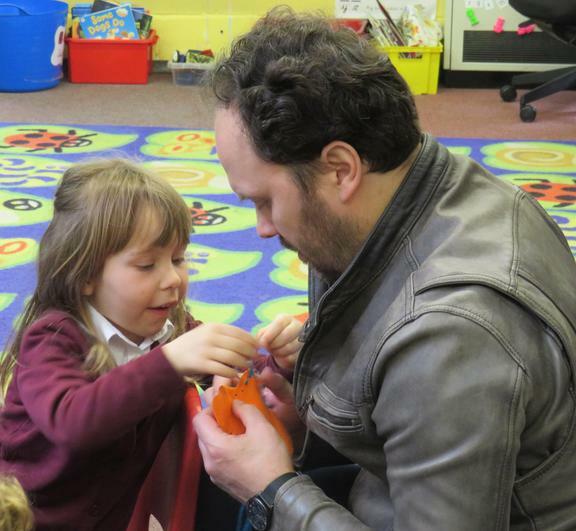 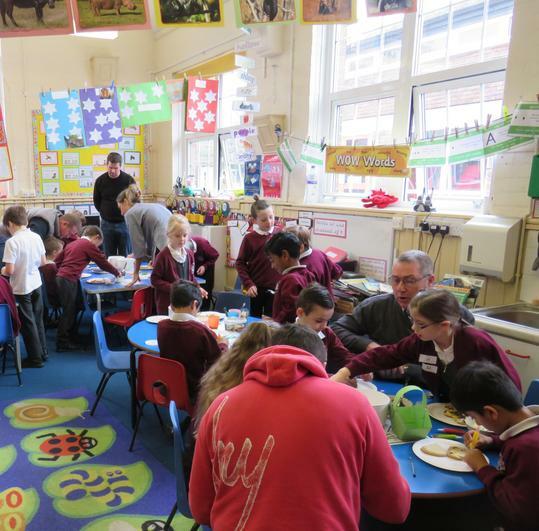 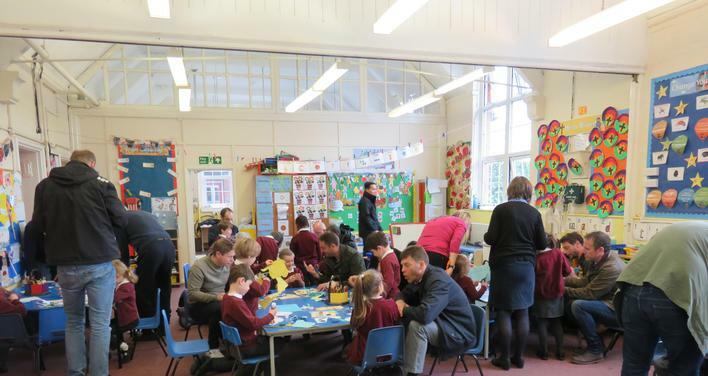 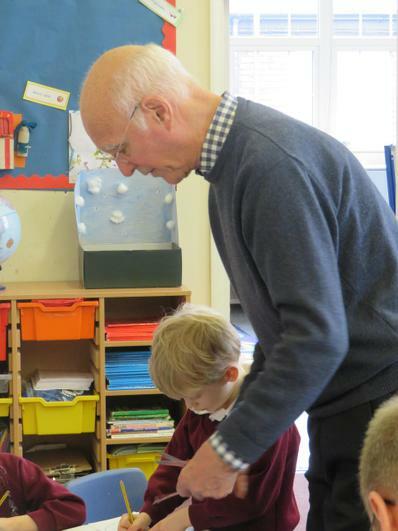 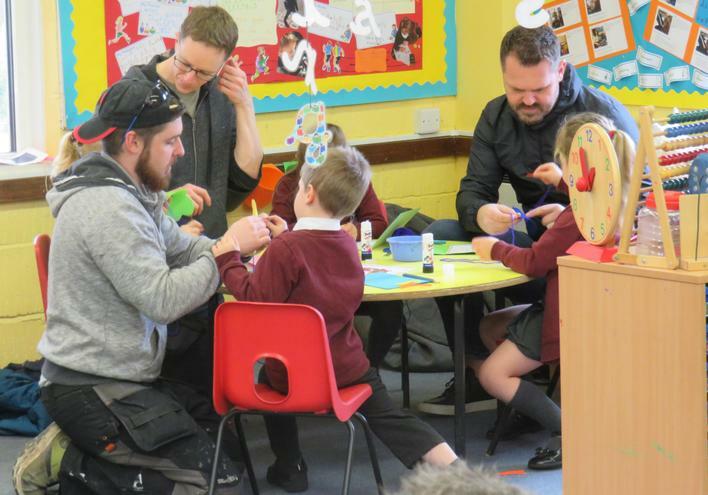 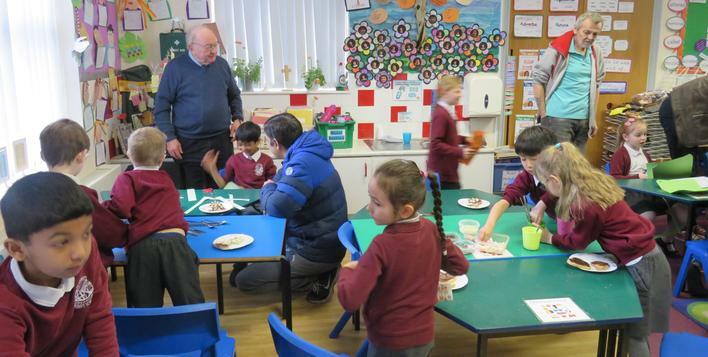 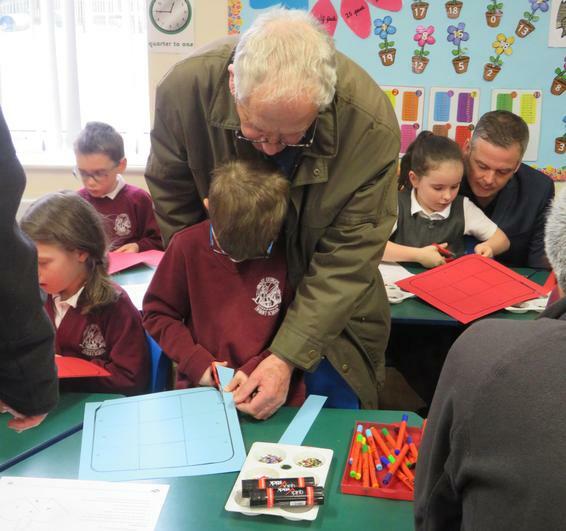 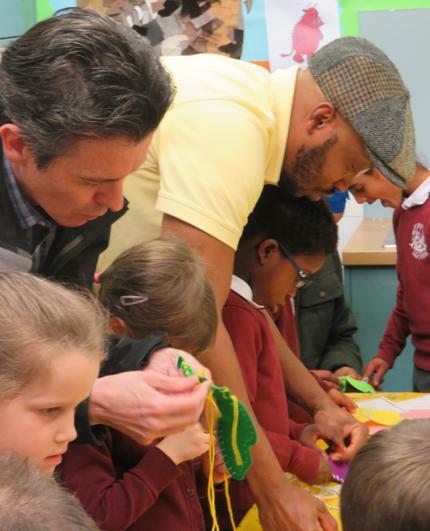 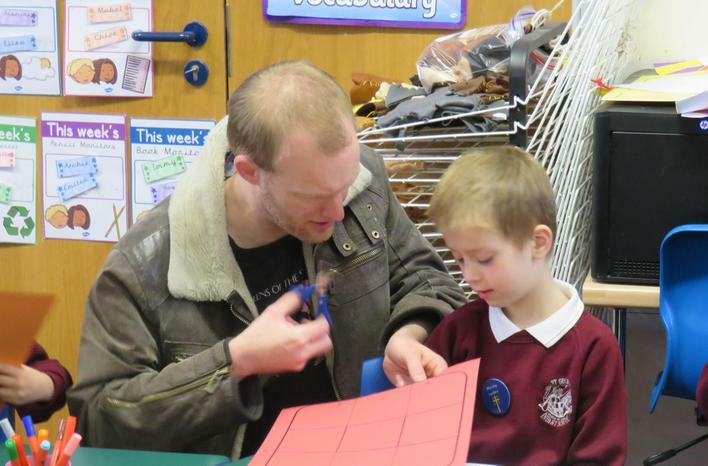 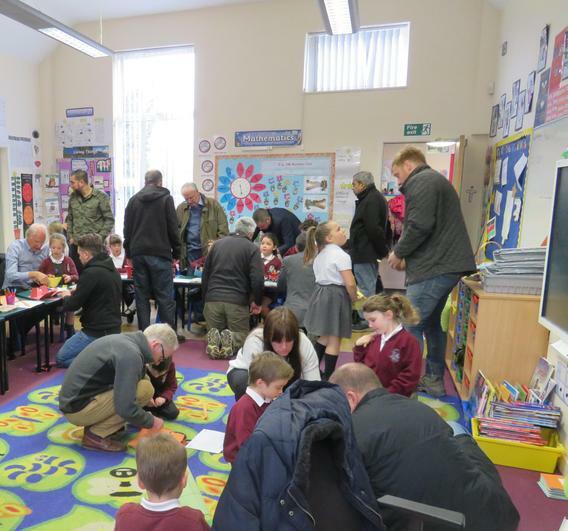 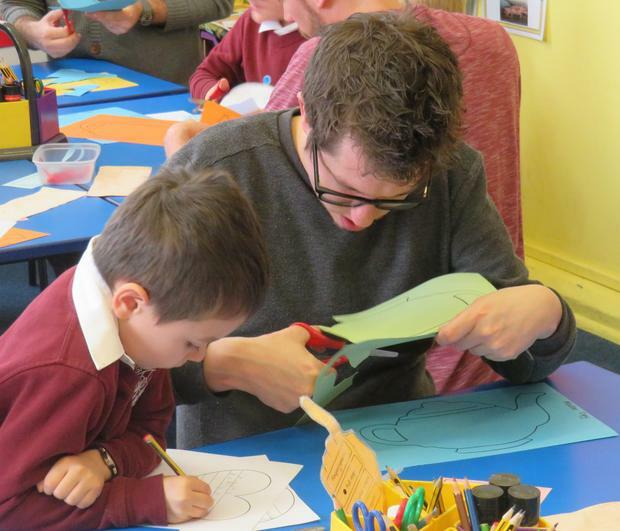 They then went to the children's classrooms to take part in a wide variety of Easter and Mother's Day crafts. 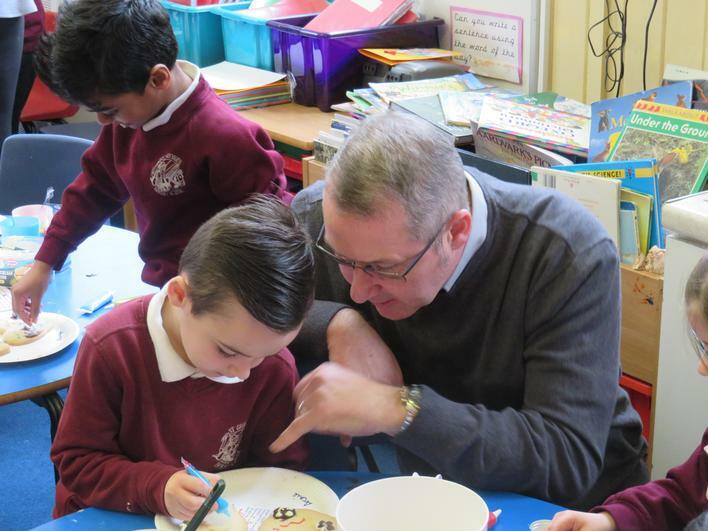 From card making to sewing and decorating baked goods they worked together busily heads for most of the morning. 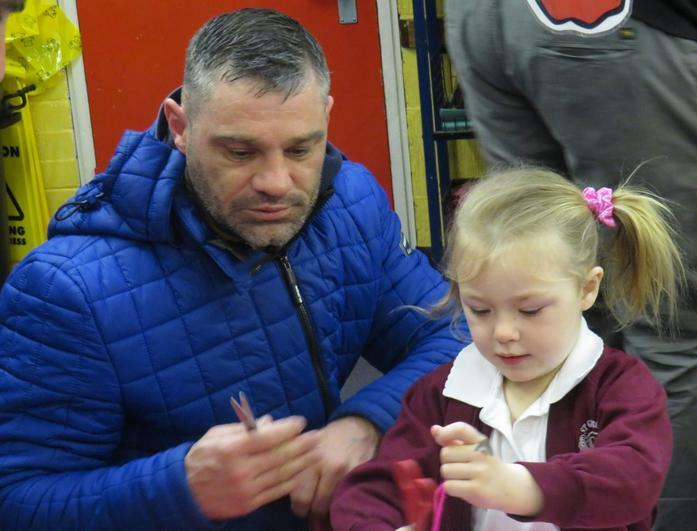 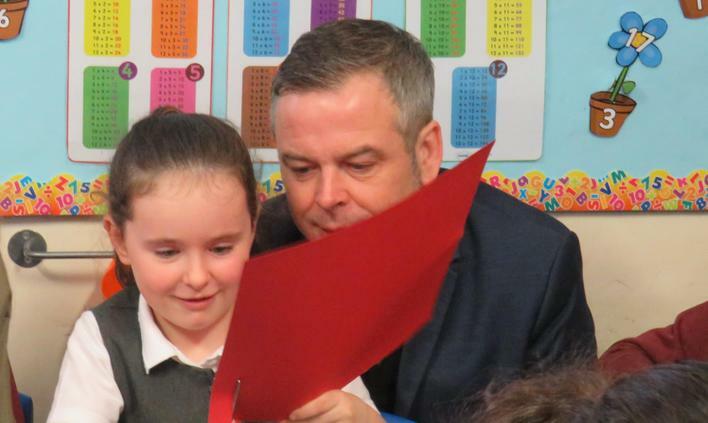 It was lovely to see so many family members sharing such a lovely morning with their children, grand children or nephew.